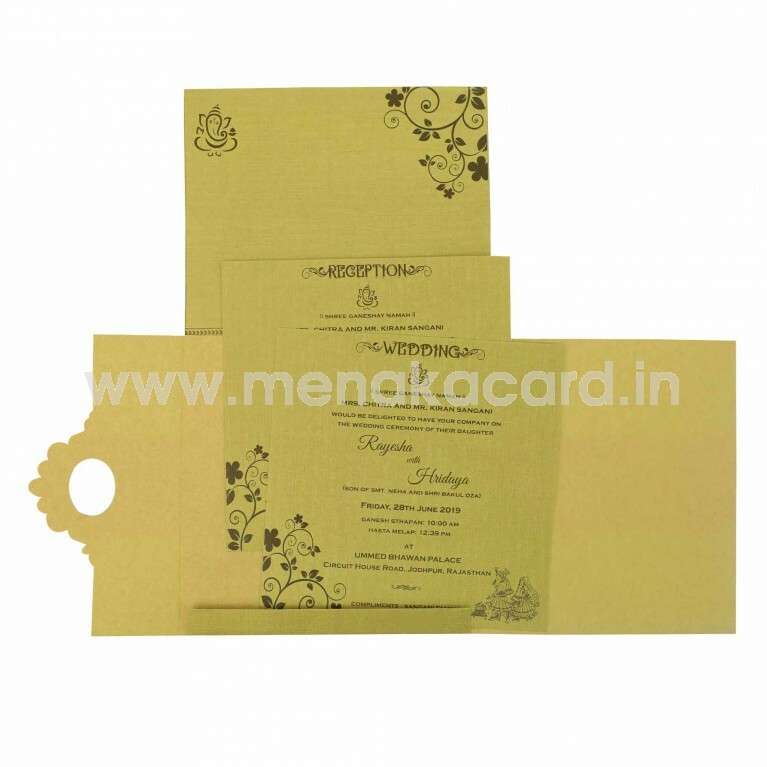 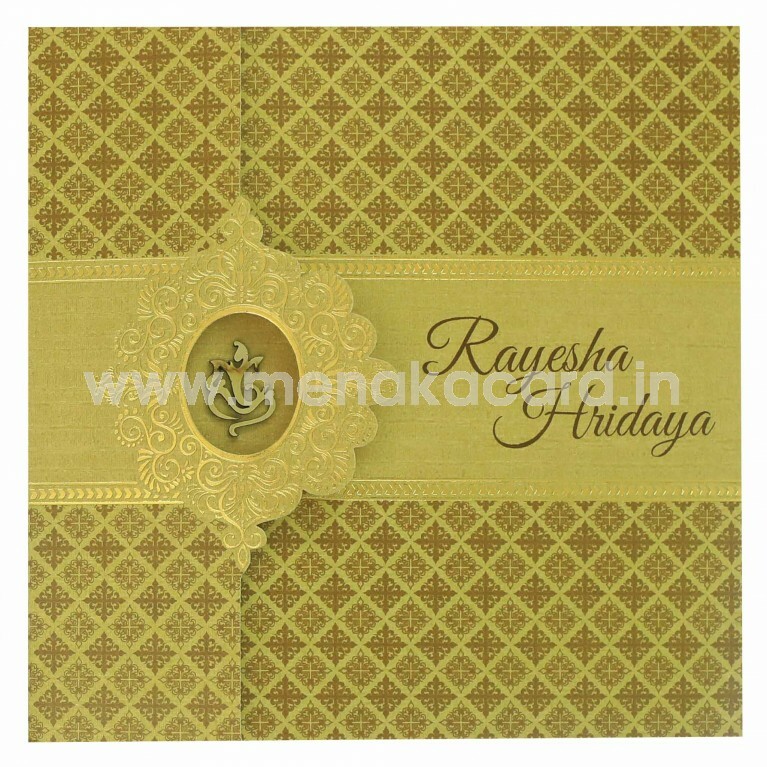 This semi-traditional Gold door folding card has a beautiful zari like facade printed with deep mustard yellow ink with a gold foil bordered strip down the centre that holds the names of the couple imprinted in brown. The top flap of this delicate has the silhouette of an ornamental gold foil frame die-cut at the centre to reveal a gold laser Ganesha sticker on the flap beneath. 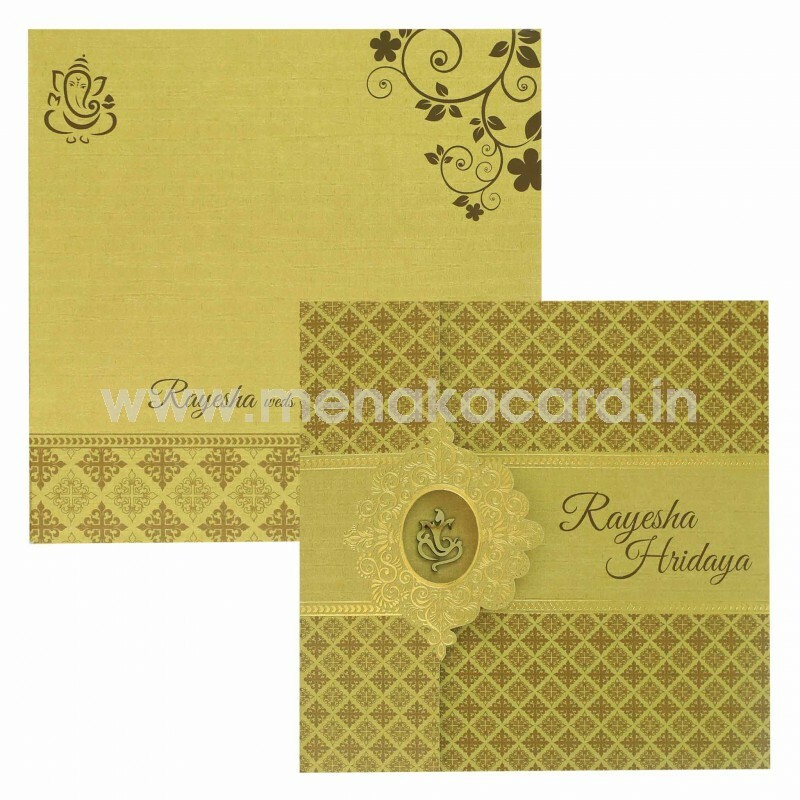 The two default gold inserts with brown text sit in the flap holder of this card under the doors. 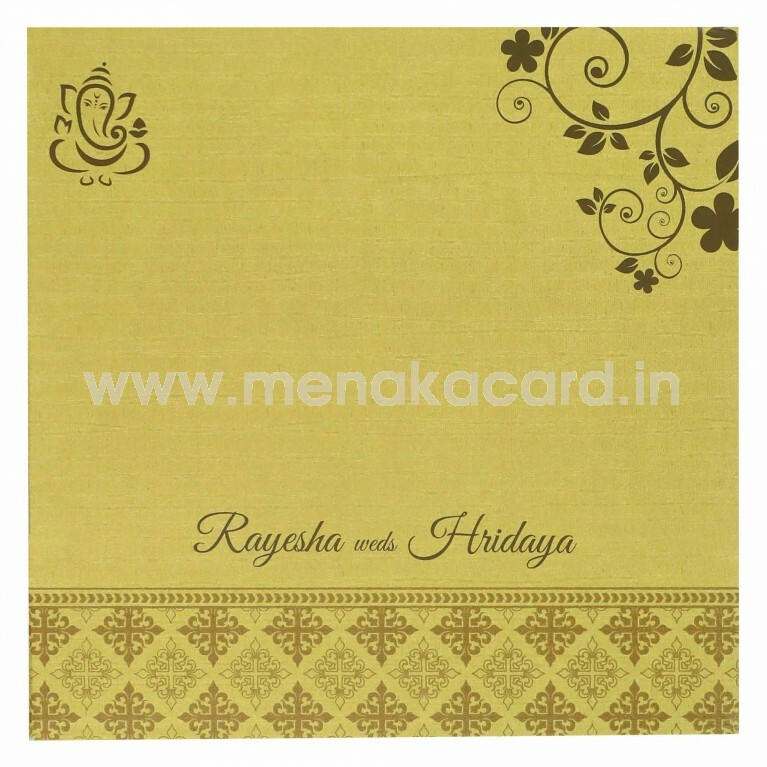 This can be used for Hindu weddings, puberty functions and upanayanams.